It now more or less looks unlikely that Eden Hazard will be remaining with Chelsea beyond this season. The Belgian international has been strongly linked with a move to Real Madrid. Los Blancos have been poor by their standards this season. They have a number of ageing players in their squad and also failed to secure a direct replacement for Cristiano Ronaldo who joined Juventus last summer. 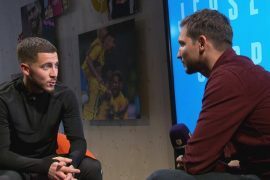 Hazard has yet to sign a new deal at the Stamford Bridge and Chelsea may have to sell him this summer as his current contract is due to expire at the end of next season. It will be no easy task for the Blues to find a replacement for the player who has been one of their best performers for the best part of the past decade. One man whom the West London giants have been linked with is Lille winger Nicolas Pepe. Interestingly, the Ivorian international plays for the same Ligue 1 club from which Hazard joined the Blues in 2012. The 23-year-old Pepe has all the ingredients required to succeed in the Premier League and has proven that he is no one season wonder. He was one of Lille’s star performers last season in what was a bad season for them as he went on to find the back of the net 13 times and also recorded four assists. This season he has also been prolific as he has gone on to find the back of the net 19 times and recorded 11 assists from 32 Ligue 1 appearances so far. He also found the back of the net during Lille’s recent shock 5-1 demolition of runaway French top-flight leaders PSG. 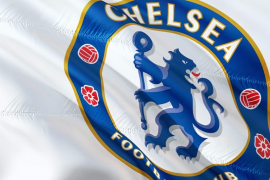 If Hazard is sold, Chelsea will get a hefty fee. Pepe will likely cost significantly less than what the Belgian could be sold for and will also provide fresh energy to the Blues in the wide areas. The Blues must go all out to bring him to Stamford Bridge this summer.